Ready, set, sunshine! 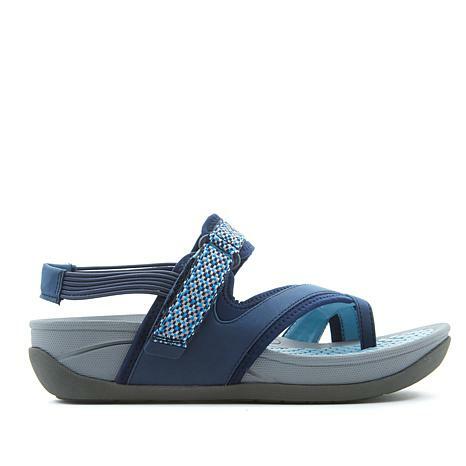 This summer sport sandal features a revolutionary, ultra-cushioned footbed with Rebound Technology™ that will have you ready for any adventure that comes your way. These are well cushioned and comfortable. They are completely true to size in length and width. 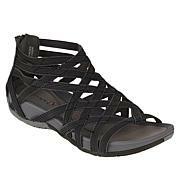 I love the rebound Baretraps sandals, they fit perfectly and are extremely comfortable! I want to purchase them in several colors. I highly recommend them!! 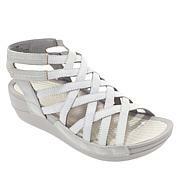 These shoes are super comfy and stylish. Love them to pieces.! 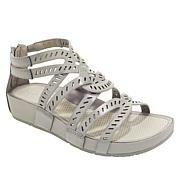 I had to give up flip-flop type shoes after falling and breaking my knee!Bought these and love them. 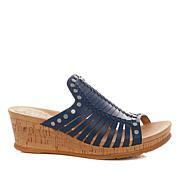 Fit just snug enough, very cushy, cute with denim! The first day I wore them all day and they still felt great.